I was on a mission to write a reportage in Mosul, the Islamic State group’s former capital in northern Iraq, about children returning to a school shut down for three years by the jihadists. I was thinking of how best to describe the joy of those children as they returned to their long-forbidden desks in that ruined city. Sitting at a restaurant with the photographer, video journalist and AFP driver before heading back to Baghdad, I read on my laptop an article about the European debate on neighboring rights and the plan to apply them to the press. It grabbed my attention but did not come as a shock. After five years crossing a war-shattered Syria where on several occasions I narrowly escaped being killed by snipers’ bullets or seasoned gunners’ shells, I had just arrived in Iraq for the third time since the US invasion of 2003. 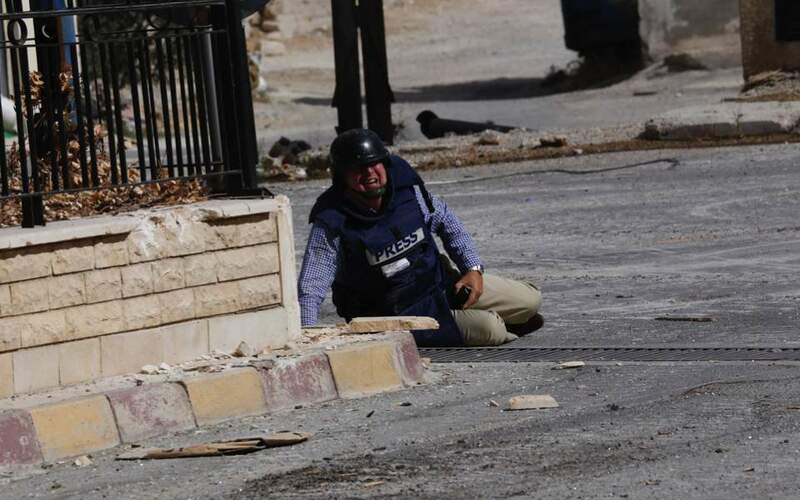 In more than 40 years of reporting, I have seen the number of journalists on the ground steadily diminish while the dangers relentlessly increase. We have become targets and our reporting missions cost more and more. Gone are the days when I could go to a war in a jacket, or in shirtsleeves, an ID card in my pocket, alongside a photographer or video journalist. Now you need bulletproof jackets, armored cars, sometimes bodyguards, and insurance. Who pays for these expenses? The media, and it is a heavy cost. Yet even though they pay for the content and send the journalists who will risk their lives to produce a reliable, complete, trustworthy and diverse news service, it is not they who reap the profits but the internet platforms, which help themselves without paying a cent. It is as if a stranger came along and shamelessly snatched the fruit of your labor. It is morally and democratically unjustifiable. So many friends have stopped reporting because their media organization closed or could no longer pay them. Up until the day they put away their pens and cameras, we had shared the terrible fear of hiding behind a wall that trembled as intensely we did from the impact of the explosions; the indescribable joy when we succeeded, when we could tell the world the “truth” that we had seen with our own eyes; the extraordinary meetings with warlords and their heavily armed men who smiled as they toyed with their pistols or daggers and watched as we interviewed their bosses; the poignant sorrow when faced with dazed, trapped civilians, the women awkwardly protecting their children as bullets scraped the walls of the shelter in which they had found brief refuge. We can no longer swallow the lie spread by Google and Facebook that a directive on “neighboring rights” would threaten people’s ability to access the internet for free. No. Free access to the web will endure because the internet giants, which now use editorial content for free, can reimburse the media without asking consumers to pay. Difficult? Impossible? Not at all. Facebook made $16 billion in profits in 2017 and Google $12.7 billion. They simply have to pay their dues. That way the media will survive and the internet titans will be contributing to the diversity and freedom of the press they claim to support. I am convinced that the members of parliament who have been misled by deceptive lobbying now understand that non-paying access to the internet is not at risk. At stake is the freedom of the press because when newspapers run out of journalists that freedom, which is supported by members of parliament from every political side, will be gone. Countless times I have been face to face with people who were blockaded, isolated and defenseless, who asked just one thing: “Tell people what you have seen. That way we have a chance of being saved.” Should I reply: “No, do not raise your hopes. We are the last journalists. Soon there will be no more because we are disappearing for lack of money”? Remember that Facebook and Google employ no journalists and produce no editorial content. But they get paid for the advertising linked to content that journalists produce. Every day, journalists investigate all aspects of life so as to inform their fellow citizens. Every year, prizes are awarded to the most courageous, intrepid, talented journalists. We cannot allow this fleecing of the media of their rightful revenue to culminate in a day without prizes, for lack of candidates with the means to report on the ground. It is time to react. The European Parliament must vote massively in favor of “neighboring rights” for the survival of democracy and one of its most remarkable symbols: journalism. Sammy Ketz is the Agence France-Presse Baghdad Bureau chief. We call on members of the European Parliament to reject any attempt to delete Article 11 from the European Commission’s proposed Copyright Directive. Article 11 is a lifeline for the independent press in Europe. It would give publishers ownership of their work online at a time when online platforms exploit this work for free, “monetizing” it to generate advertising revenues in Silicon Valley. Without the right that Article 11 would enshrine, Europe’s journalists would continue to effectively work for free for the tech giants: out of sight, out of mind and out of pocket. 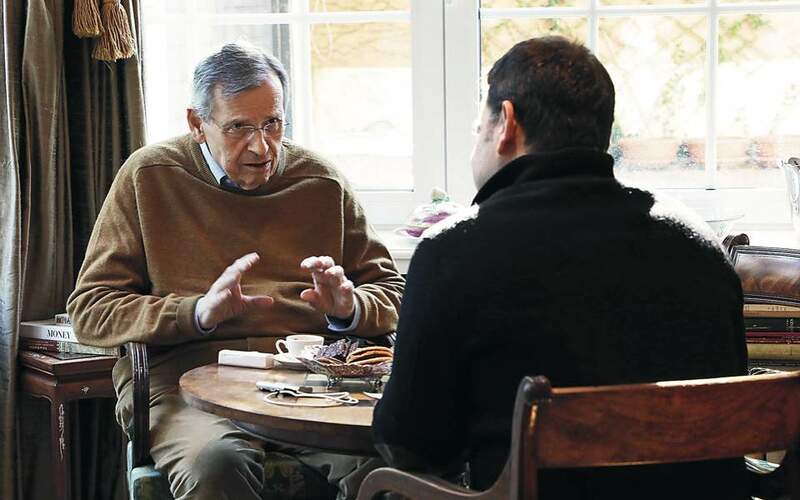 In the age of “fake news” and assaults on democratic values and institutions, Europe cannot afford to impoverish its newsrooms and muzzle its free press. EU lawmakers: Press ahead with your Copyright Reform and keep Article 11!